What do you need to know before buying a house in Los Gatos? Areas closest to “downtown Los Gatos,” especially the historic neighborhoods (including Almond Grove, Edelen, Broadway, Fairview Plaza) tend to be much more expensive than those further out. The “walk to town” or “close to town” proximity makes them highly desireable, but also these regions of town are very scenic and have some fabulous Victorian and other beautiful architectural styles. Many are tree-lined, too. If you buy a house close to a hill, among some hills or on a hill, you will need to pay close attention to issues which are less common in flatter areas further from slopes. Among them are foundation, water and drainage concerns. Some flat areas near the hills may have a high water table, may springs that come seasonally or in very wet years as well as runoff problems. Water is often far more damaging than termites but it is not really uncommon to find water in a crawl space during the rainy season. Learn about it and pay heed to property inspectors’ suggestions regarding remediation if it’s a condition in a house you want to purchase. 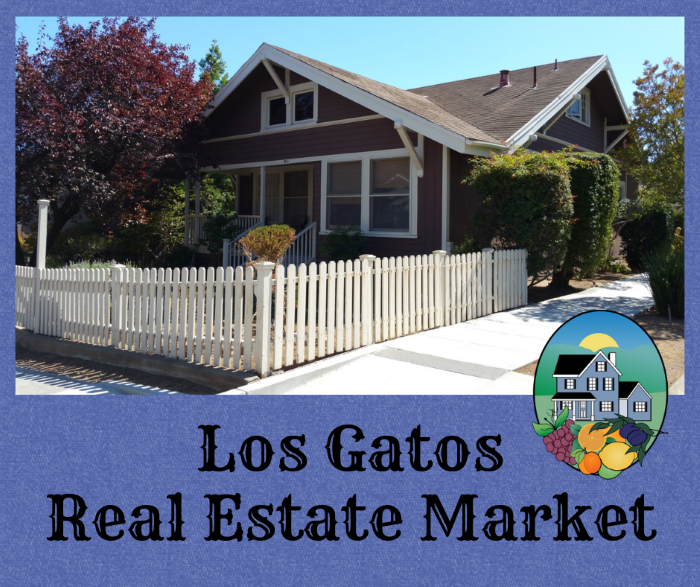 Some homes with a “Los Gatos address” may not actually be in the town of Los Gatos. Many are in a county pocket or area (and may not have all the services of the town). A very few are actually part of either Campbell or San Jose but were assigned the Los Gatos mailing address for ease of the US Post Office. How can you tell if a residence is part of the town of Los Gatos, is unincorporated or part of another city? The website for the county of Santa Clara has a lookup service. First you must accept the terms of service (see link above), then you will be allowed to input an address. If you type in a location’s address and it says “not found”, either you’ve got a typo in the building number or a mistake in the actual city, so perhaps it’s unincorporated or belonging to another adjacent municipality. What difference does it make? The actual address (not mailing address) will impact a variety of things such as services (sherriff vs Los Gatos Monte Sereno police, free access to Oak Meadow Park), planning (any additions, remodels etc. will need to be approved by your actual city), voting in Los Gatos elections, etc. According to Wikipedia: “There are 481 incorporated municipalities in California, of which 459 are called cities and 22 are called towns.” [Edit: this quote was accurate as of Feb 28, 2011, but has been edited since. On Oct 24, 2017, the page lists 482 municipalities, 22 of which call themselves Towns.] I was surprised that there are so many towns – had thought it was only a handful! Los Gatos is an interesting, fun, welcoming town. If you’re moving to the area, it’s a vibrant place you should check out. Please call or email me if you’d like more assistance. Want to Buy a Home in Los Gatos?Some Tips to Get Your Home Purchase Offer Accepted! We read about the real estate market being a buyers market, and some folks think that means that houses, condos and townhomes will always sell for much less than the asking price. That just isn’t the case. There’s a whole lot of “it depends” going on. Take each property on its own merits, do some homework and strategize how to get the best deal when buying a home. Some sellers, for example, deliberately underprice their homes to attract multiple offers. This, of course, pushes the price up and the sellers are often very pleased with the results. (It is usually far more effective than “testing the market” with a high price.) So if it’s underpriced, don’t assume it’ll sell for less. How should you evaluate Los Gatos real estate when you’re thinking of writing an offer? I go through this with my clients all the time, so let me give you a few tips here. First, make sure you understand the current market conditions for the area and price point you’re interested in. I put out a monthly Real Estate Report (about the 10th of each month) that will help you understand the city or region – such as Los Gatos/Monte Sereno, Saratoga, or districts of San Jose like Cambrian Park. But there are lots of micro climates in real estate, even within a town or a zip code! So before writing up a purchase agreement, look at comps and ask your agent to help you understand what’s happening locally. You’ll want to know both the list price to sales price ratio and also what homes are generally selling for in that particular neighborhood. Once you know those two things, you adjust for things like improvements, condition, precise location, and other issues. In the Town of Los Gatos, homes are selling at an average of 97.7% of list price. How will sellers feel about offers that are at 90% of list price or worse? You’re right if you guessed that they’d be insulted and upset. Upset sellers don’t tend to be cheerful in negotiating; trying to get a “killer deal” may prevent you from getting the house at all! Second, learn as much as you can, before writing an offer, about the home’s condition. Find out if there are disclosures, inspections and reports online. If so, read them first to get a true picture of the property’s condition. If it’s in great shape, it will be worth more, and if there are a lot of repairs, it will be worth less. No resale (or used) home is perfect, so do not expect a 45 year old home to be flawless. (I often see this mistake: buyers will view homes at the top of their price range and when they find flaws in the home, start subtracting based on their budget rather than based on market value.) Do consider how it compares to others like it on the market, that are pending sales or recently sold in terms of condition. The best agents do all this upfront, or at least as much as possible. If you happen to be viewing a home that is a short sale, it is highly unlikely that the seller will have any inspections…because there just isn’t any money with which to do them. Third, ask upfront, through your agent, what the seller wants or needs to be happy. It could be price, it could be terms. (Terms are the other important aspects of the offer such as required repairs, length of escrow, things included or not included.) You may or may not be able to give it to the seller, but knowledge is power and often the price may be lower if the terms are more favorable. If the seller needs a quick close, you may be able to buy the home for less if you can move fast. Same with “as is” or other clauses that make the seller’s life easier. Seniors often have a difficult time clearing out their property, so if you, as a buyer, offer to take on the seller’s old cans of paint or other “headache” items, you may create a sense of ease and goodwill that may result in a better price for you. I have seen this happen many times! With this third point, I should stress that some agents will not want to take the extra step and pick up the phone to talk with the listing agent. There are some agents out there who never call, but simply fax over an offer. To the better, more professional agents, this is really annoying and smaks of laziness and non-professionalism. Listing agents want to know when an offer is coming in. They may tell your agent important information that enables you to write a cleaner offer (that perhaps will not need a counter offer if it’s right the first time.) Please make sure that your agent will phone ahead, do a basic inquiry and make a good impression of you to the listing agent and seller. Transactions are about people as well as business and this is an important aspect you should not ignore. If you happen to meet the seller, try to be friendly and respectful – sometimes if the seller simply likes you, it can go really far in making the transaction together (remember, buying and selling is emotional and not just a business deal!). Make sure you hire an agent who will also try to put a best foot forward for you. If there are multiple offers (which does still happen! ), it may come down to whom the listing agent feels best about working with. Reputation matters, and so does the agent’s professionalism. If it is multiple offers, and there are disclosures online, read them, sign them, and turn them in with your offer if at all possible. The seller and listing agent will know you are not going to be surprised later and back out. Even if it’s not multiple offers, the seller will feel more confident if he or she knows you have read the inspections and truly understand what you are trying to purchase. Most Realtors in Los Gatos will be looking for a 3% initial deposit and a pre-approval letter from a reputable source (not an online entity). In some parts of Santa Clara Valley, smaller deposits are the norm. In Los Gatos, 3% is strongly preferred and at the least will be expected when contingencies are removed. Write a letter. Make nice. Tell the seller why you like their house. Is the house really overpriced? If so, have your agent politely explain the reason behind your offer price. Stories float around Los Gatos, Monte Sereno, and Saratoga of transactions that never came together because the buyer insulted the seller. About 10 years ago, I had a listing and an offer got faxed in (no phone call) and it was just an awful, lowball offer. The purchase agreement was 10% below list price and had a ton of bad terms in them. My seller ripped the offer into quarters and took the house off the market. And there was one story I heard, a few years back, of a buyer who asked the seller to leave the family’s dog too. The seller was angry and would not sell the home at any price! The average and median prices are helpful to understand what’s happening overall. Any home, though, may be different from the average or median, and the sellers may have different circumstances. If you’d like to get a great price on a Los Gatos home, follow the above guidelines (and begin by hiring your buyer’s agent carefully!) and you will greatly improve your odds for success! Call or email me for assistance in buying your next home in Los Gatos! Helping Nice Folks to Buy & Sell Homes Since 1993 – 15 Years Experience! What do saavy investors look for when buying a home? In a nutshell, they look for the “right things wrong”. That is, there are things that will make an investment untenable, and other things that will make it attractive! Often when Realtors go shopping for their own homes, they consider houses that have been on the market too long, that are really decent homes but simply ugly! It’s easy to change paint and carpet, to add skylights and to fix landscaping. A home like this that’s been on the market will be a good buy – provided the seller is motivated to sell – in any market! Only thing is… to make the money, you have to be willing to do a little work! This is true in Los Gatos, Saratoga, San Jose, Santa Cruz, or anywhere! Want to Buy a Home? Where to Start? 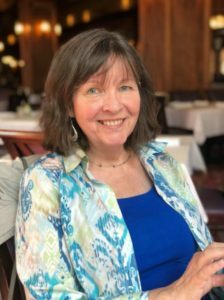 Each week, I get inquiries from people who are thinking of buying a home here in Los Gatos or in Saratoga, San Jose or elsewhere in Silicon Valley. Some of them are fairly local, and some are potentially relocating here. Sometimes they want to “start the process” by having me show them homes. That’s usually not the best way to proceed. The trouble with starting by viewing homes is that such a buyer may or may not be looking in the right price range – potentially wasting the time of everyone involved (themselves, their agent, and the people who clean up and leave their home for an hour or two so they can see it). Open house viewing, of course, is another thing – it can be an easy way to zip in and out of houses with little inconvenience to anyone. It can provide a sense of neighborhoods and what homes are going for. But the home buyer could, of course, be looking at the wrong price range with this approach. Look too low, get discourged. Look too high, and when the price range is later reset to what is realistic, everything will look awful. So what is the most efficient way to investigate the possibility of home buying? For most people, it’s best to start with the budget. How much do you want to spend? What will be comfortable for you and still help you to meet your needs? Often that’s not the same thing as how much you can spend. That said, “it all depends”. It depends on how much cash down you have, what kind of loan you are comfortable with, qualify for or can accept. There are a few simple rules of thumb that can be a starting point. Some folks say that you can afford to buy 3-4 times your annual income. So if you are making $50,000 per year and your spouse or home buying partner is making $75,000 per year, together you’d qualify (using this rough rule of thumb) for $375,000 to $500,000. That won’t buy you much in Silicon Valley, so often people will use loan products that enable them to get more home for the budget by doing interest only loans (the most common now) or a loan that’s fixed for a few years and then converts to adjustible (with a lower interest rate than a 30 year fixed loan). Typically, if buyers come to me without having spoken in detail with a lender, I suggest that they speak to a lender soon after our first meeting – I know lots of experienced, ethical lenders who will assist them in choosing a loan type and setting up their target price range. Once that is established, they can start the paperwork submission process and are free to go shopping – and if they find the ideal home, they are far closer to being able to write an acceptable offer than if they were house-hunting “blind” to their true financial picture. Getting the financing set upfront has several benefits to the buyer: no wasted time looking in the wrong price range, not having to make the loan choices under pressure (once a home has been located and then the loan has to fit the home), and the ability to line the financing up in advance so that the sellers will prefer to deal with them because the loan is not nearly as much of a question. To start with the budget, find an excellent lender. There are many good ones, but not all lenders are equally good (or ethical, or experienced). If you’re thinking of homebuying in Los Gatos, Saratoga or San Jose – or anywhere in Silicon Valley – don’t just pick a name out of the phone book. Instead, call me and I’ll happily give you the name of a good lender (or more if you want more). Like a good Realtor, a good lender is your partner in homebuying. It’s important to find the right match and to get the ball rolling early in the process. You’ll save time and heartache by lining your financing up early on.